Including glitter champagne flutes, a three-in-one avocado tool, and apple cinnamon french toast that'll take your boozy brunch to the next level. 1. 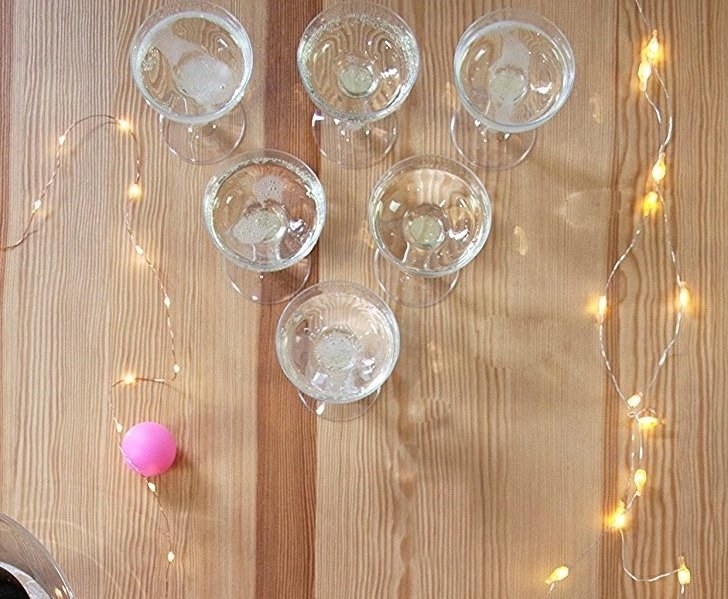 Use glitter-speckled plastic champagne flutes to reduce clean-up time. Everybody, say goodbye to hand-washing a million fragile glasses. CHAMPAGNE FLUTES ARE SO HARD TO CLEAN because of how narrow they are. With these plastic flutes, you won't have to worry about that anymore — just be sure to recycle these when you're done with 'em! Get a pack of 30 from Amazon for $14.99. 2. 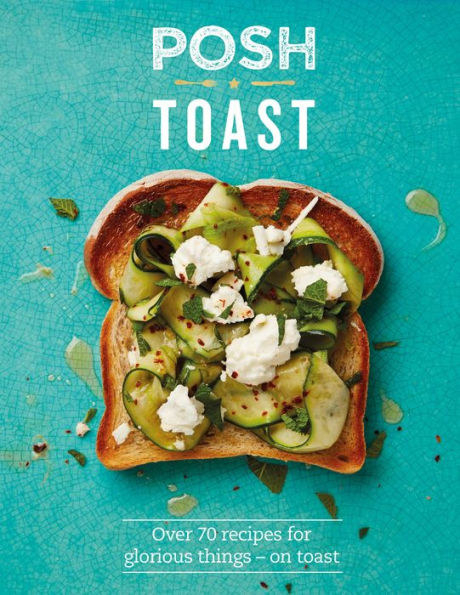 Consult a toast recipe book for more toast-centric brunch ideas that aren't just avocado #foodporn. This book contains over 70 easy-to-make brunch food options that are all equally mouthwatering. 3. Okay, but if you do really love your avocado toast, use a 3-in-1 slicer to cut them up quickly and efficiently. 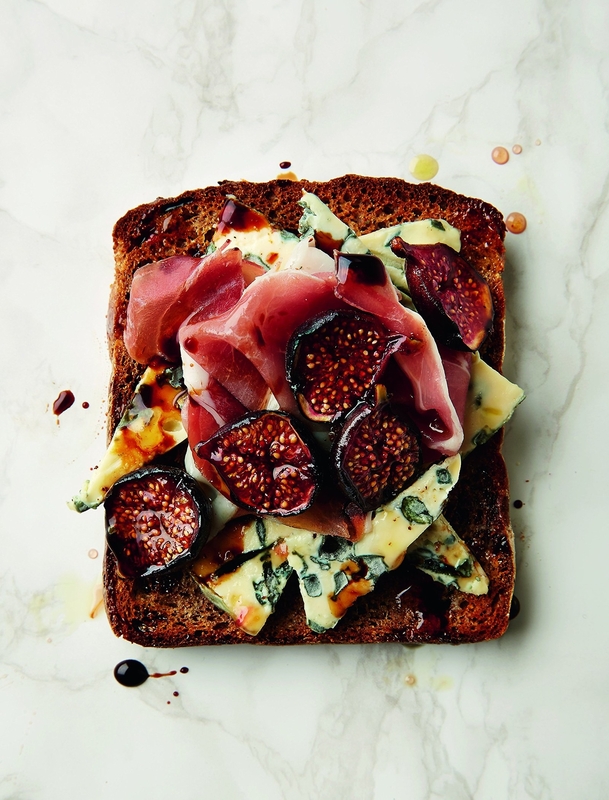 This'll make your avo-toast look like it came straight out of a recipe book. This nifty tool can split the avocado in half, remove the pit, and slice it up into perfect, tiny little pieces. Plus, it's dishwasher-safe. Side note: I'm just going to say that I can't properly slice an avocado, and every time I try to make homemade avocado toast... it looks like straight-up green mush on whole wheat bread. Don't judge me. 4. Store beverages in glass dispensers that come complete with chalkboard frames, meaning you can specify which drink is which! Just pour in your beverage of choice by removing the top lids! 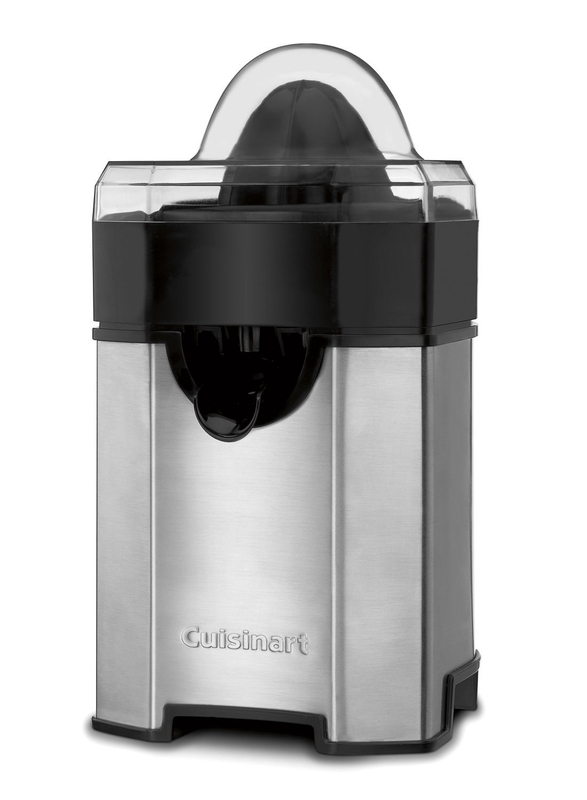 Plus, the metal stand elevates the drink dispensers, meaning you can hold your glass directly under the tap. Get them from Amazon for $53.93. 5. Make these delicious, melt-in-your-mouth *vegan* pancakes and prepare yourself for a slew of "YOU'RE BETTER THAN BETTY CROCKER" compliments. Get the Tasty recipe here. Psst, want to save a ton of time and make seven pancakes at once? Check out this non-stick pancake pan from Amazon ($23.94). 6. Display these rose gold foil balloons for an Insta-worthy spot that is more photogenic than any acai bowl in existence. "BUT I BELONG ON EVERYONE'S INSTAGRAM! WHO CARES ABOUT BALLOONS ANYWAY?" —the acai bowl at your next brunch, probably. Get them from Girlygifts07 on Etsy for $15+. 7. Fill clear mason jars with your cocktail of choice, some fresh fruit, and voilà! You'll have the most aesthetically-pleasing drink known to mankind. Another thing to note? These babies are dishwasher-safe, meaning clean-up time won't take nearly as long. Plus, you can use these for almost everything anything: smoothies, iced coffee, storing q-tips, overnight oats, etc. The list goes on and on. Get a pack of 12 (similar to the one shown above) from Amazon for $16.80. Get this sweet strawberry basil sangria recipe from Happy Life Blogspot here. 8. After having your umpteenth mimosa, play a game of BuzzFeed's Social Sabotage: a card game in which each player is thrown into hilariously awkward situations. Basically, everyone has "WHERE" and "WHAT" cards: the first contains a person or social media platform, while the second has an awkward message (ex: "hey, can I get your dad's number?). When it's your turn, you put down a WHERE card — and throw your fate into the hands of your "friends" who are in possession of a very awkward WHAT card. 9. Prep the ingredients for this apple cinnamon french toast a night or two ~before~ your shindig — and then just stick it in the oven morning of! Mix up all the ingredients, place it in a rectangular casserole dish, cover it with plastic wrap, and stick it in the fridge. The morning of your party, all you've have to do is pre-heat your oven and then bake it for 40 minutes. YOU'LL BE ABLE TO SERVE THIS DISH TO YOUR GUESTS WARM, which will make it that much more delicious. Get the recipe from The Busy Baker here. 10. Get a citrus juicer to make mimosas that put even the best brunch spots to shame. Hello, FRESH-SQUEEZED OJ mixed with champagne. Just hold your freshly-cut fruit of choice (which doesn't have to be OJ! You can use this on grapefruits, limes, etc) on top of the juicer, press the fruit down on the top spinner, and you'll have fresh-squeeze juice in a matter of seconds. 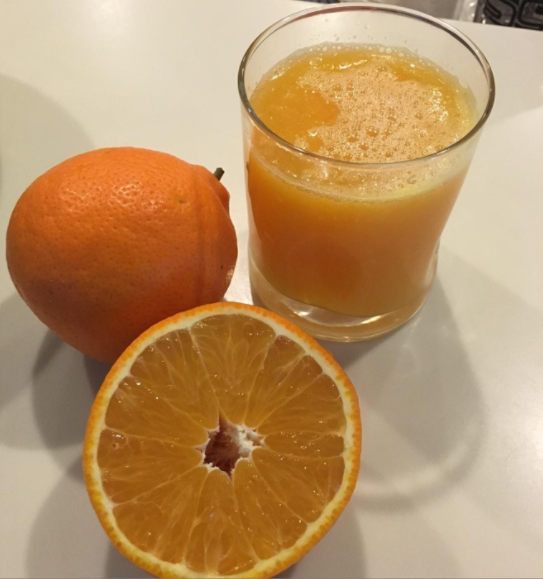 This juice also has pulp-control settings (high, medium, and low) to give you as much or as little pulp as you want. 11. Try out a bouquet recipe to give your guests what they really want — cake for breakfast. Plus, this can totally double as a centerpiece, okay? Check out this Tasty recipe here. 12. Give your guests a caffeine boost by way of this stovetop espresso maker; it can make up to 12 cups of deliciousness in ~5 minutes. This espresso maker (which was made in Italy so it has to be amazing, okay?) promises a rich, delicious espresso and a two-year warranty. This is perfect for an at-home brunch because you'll be able to make a pretty big batch of espresso in a short amount of time! Get it from Amazon for $26.95+ (available in six different sizes and 10 colors). 13. And serve it in these stackable cups that won't take up a ton of cabinet space. Plus, these are microwave- and dishwasher-safe. Get a set of six from World Market for $12.99 (available in espresso or regular mug sizes) or a similar set with matching saucers from Amazon for $20. 14. Take broozy brunch dessert to the next level with this boozy brownie recipe, which calls for a healthy dose of AMARETTO. Get this Le Creuset dutch oven from Williams-Sonoma for $149.95+ or a similar heart-shaped cast-iron casserole dish from Macy's for $39.99. 15. For fancy sit-down brunches, DIY these gorgeous place cards using flowers, copper coupling, and sticker paper. You'll need: Sticker paper (get a 100 sheets from Amazon for $17.90), copper coupling (Home Depot, $4.95), a marker, scissors, and flowers. 16. 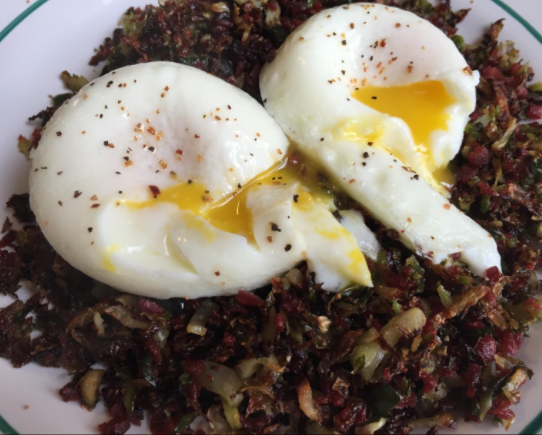 Make delicious eggs with an easy-to-use, stainless steel poacher. The results are guaranteed to be ~egcellent~. This stainless steel, dishwasher-safe egg poacher is perfect for brunch because it doesn't require a ton of time. BUT! More importantly, it doesn't require a lot of effort or attention. Just fill each cup with water and eggs, and you'll be able to spend time with your guests while waiting on these eggs to finish cookin'. 17. Or combine the two most beloved brunch foods (eggs and avocado, obviously) into one with these amazing baked avocado egg boats. Get the recipe from Tasty here. 18. Drape a vibrant tablecloth over your dining table to protect it from stains and scratches. Furniture is expensive and should be protected at all costs, okay? Get it from Amazon for $29.99 $27.99 (available in three sizes and 10 colors). 19. Prep the ingredients for this color-changing mojito the night before your brunch — it'll save you a ton of time in the AM! The night before your shindig, prepare lime and blue-water ice cubes and freeze 'em overnight. In the morning, just blend the ice cubes together, put the mixture into a glass or pitcher, and slowly add in white rum and simple blue syrup (which'll make the colors transform from blue to purple). Pro tip: do this in front of your guests. They'll be convinced you're some sort of bartending magician. Get this Tasty recipe here and a set of four gold-rimmed glasses from West Elm for $32. 20. Use a gold-plated pitcher to hold cold drinks (READ: sangria). You can also turn it into a centerpiece by filling it with some gorgeous flowers. That peach-colored handle adds the cutest li'l accent. Get it from Target for $17.48 (originally $34.99). Get it from Overstock or Walmart for $129.19 (available in seven colors). 22. Create a booze corner and bar cart out of an inexpensive Ikea shelving unit and some brass legs. DIY aficionados, unite! Imagine displaying a mimosa pitcher on this cart. It's like something straight out of Gossip Girl, amirite? You'll need: A shelf unit (Ikea, $34.99), black and brass legs (Estelle 120, $69 for four legs), and alcohol. Duh. 23. Or! If you cannot be bothered with a DIY project, create an all-the-mimosas-you-can-drink station with a gorgeous gold serving cart. Get it from Amazon for $129.87. 24. Make the perfect Bloody Mary with hand-drawn diagram glasses, which show exactly how much you need of each ingredient. Psst, these are top rack dishwasher-safe! Get a set of two from Uncommon Goods for $25. 25. 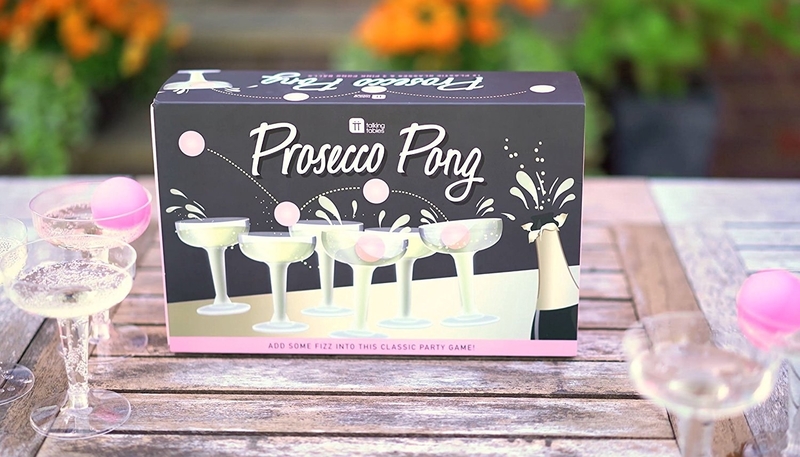 Play a game of prosecco pong, AKA a classier, more elegant, Kardashian-like version of beer pong. Kardashian-like in that it's so extra. I love it. This kit comes with twelve plastic wide neck champagne glasses and three pink ping pong balls. The glasses have a bit of extra weight at the bottom, which means they'll stay in place — even while being attacked by ping pong balls. Get it from Amazon for $15.93 (originally $25). 26. Present these decadent chocolate-covered strawberries and prepare to have all of your brunch guests drooling — without having to do any of the work. Chocolate-covered strawberries are loved by anyone who has ever tried them. That is just a scientific fact. This bundle comes with four strawberries dipped in milk chocolate and almonds, four strawberries dipped in dark chocolate and chocolate chips, and four strawberries dipped in white chocolate with chocolate swizzles. Get them from Shari's Berries for $29.98 (originally $54.99). 27. Stock up on iridescent paper plates to prevent your sink and dishwasher from overflowing with dirty dishes. Plus, this gorgeous hue is SO MUCH EASIER ON THE EYES than the all-white (and sort of boring, no offense) dinnerware chilling in your cabinets. Get a pack of 10 from Target for $3. 28. Bake healthy banana muffins that (HALLELUJAH) don't require a million ingredients, meaning you won't have to shell out the big bucks to feed your guests. PLUS! The recipe can be mixed using just one large bowl — meaning you won't have to clean up a million baking gadgets afterwards. Get this recipe from Cookie + Kate here. 29. 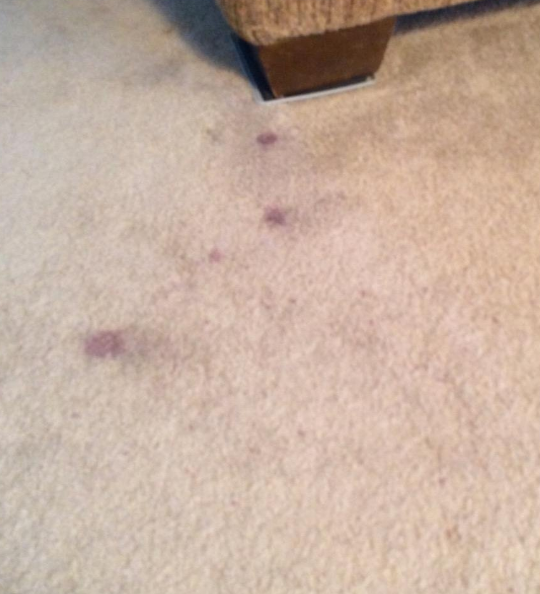 And finally, keep a stain remover on hand because colorful alcohol, clumsy friends, and a brand new rug = not a good combination. 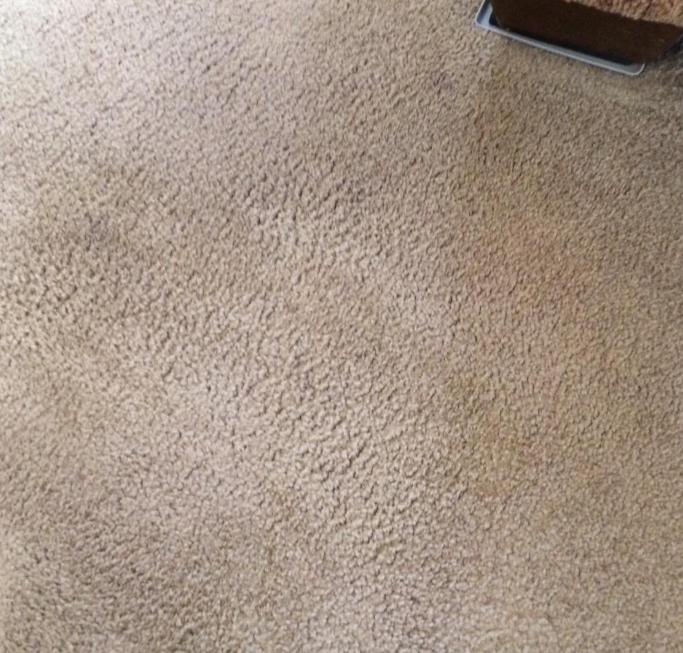 This handy dandy cleaner also works on everything from coffee and blood to sauces and fruit punch. Get it from Amazon for $6.65.